There are many factors that affect your performance in a race: boatspeed, strategy, tactics, and of course, a little bit of luck. But don’t overlook the importance of preparation: making sure you have everything you need to help you perform at your best and sail with maximum speed. 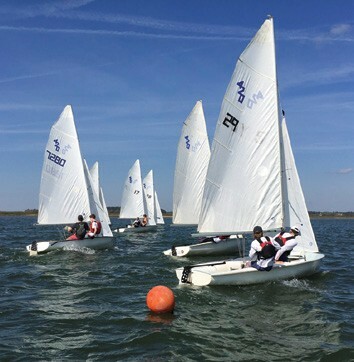 In high school sailing, the work done to prepare before you even get to the starting line is often the difference between the top of the fleet and the middle (or worse). After several years of watching the high school sailing population around Aquidneck Island/Newport Harbor growing, it was obvious that Sail Newport was where the local high school sailing action was.